Taking FEBICO Natto Complex regularly can prevent Heart conditions, myocardial infarction, and Alzheimer’s disease. 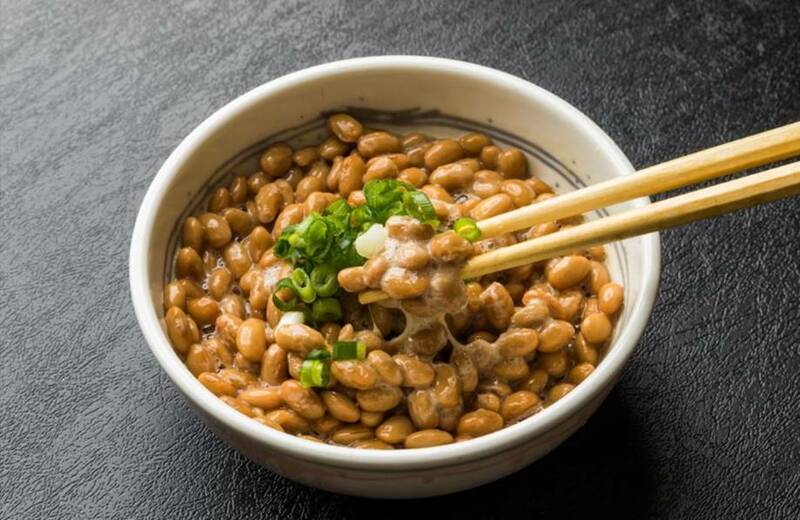 Natto: Fermentation process creates unique active ingredients - Nattokinase. Nattokinase promotes the proper function of blood circulation and can prevent clot formation. Red yeast rice: Naturally fermented red yeast has multiple water-soluble enzymes, Sterols, isoflavone ingredients to promote metabolism and preserve health. The fermentation produces monacolin K (Lovastatin) and γ-GABA. Monacolin K specifically can aid in healthy metabolism and increase longevity. Astaxanthin: FEBICO extracts Astaxanthin from its proprietary red algae strand. Its antioxidant ability is equal to 550 times of Vitamin E; so Astaxanthin is called “Super Vitamin E”. Coenzyme-Q10: Important to keep our vigor and vitality by promoting metabolism and reducing fatigue. It's a popular skincare product in Japan for its effective skin-lightening ability. High concentration of Nattokinase, with one tablet reaching the suggested dosage recommended by Japanese Natto Association: 2000 F.U./day. Fermentation does not involve chemical or physical extraction which helps save the comprehensive nutrients and bio-activity of Nattokinase and red yeast rice. Astaxanthin is extracted from the proprietary algae strand from FEBICO's in-house cultivation site. 100% vegetable natural and safe for consumption. Not chemically synthesized. Natto Kinase promotes the proper blood circulation and prevents thrombus formation. The fermentation of red yeast rice produces monacolin K (Lovastatin) and K-GABA. Monacolin K can boost metabolism and increase longevity. Passed SGS test; no medical compound or heavy metal detected in the product. 100% safe! Complex regime: Natto extract, red yeast rice, Coenzyme Q10, and Astaxanthin. Provides the best and comprehensive regime for cardiovascular health. Main Ingredient: Red rice yeast powder, Natto fermentation extract, microalgae extract, Coenzyme Q10, Chlorella powder.